Last Friday, Baidu pitted their artificial intelligence against China’s best minds in the Season 4 premiere of Zui Qiang Danao (最强大脑 or The Brain in English), a popular weekly show featuring contestants performing feats of mental agility. Seasons 1-3 all featured international competitions between China and visiting teams, leading sometimes to uncomfortable results. However, after Alipay’s facial recognition AI Mark lost to Wang Yuheng last year in an unrelated competition, The Brain’s producers decided to invite Baidu’s Xiaodu on as a contestant. 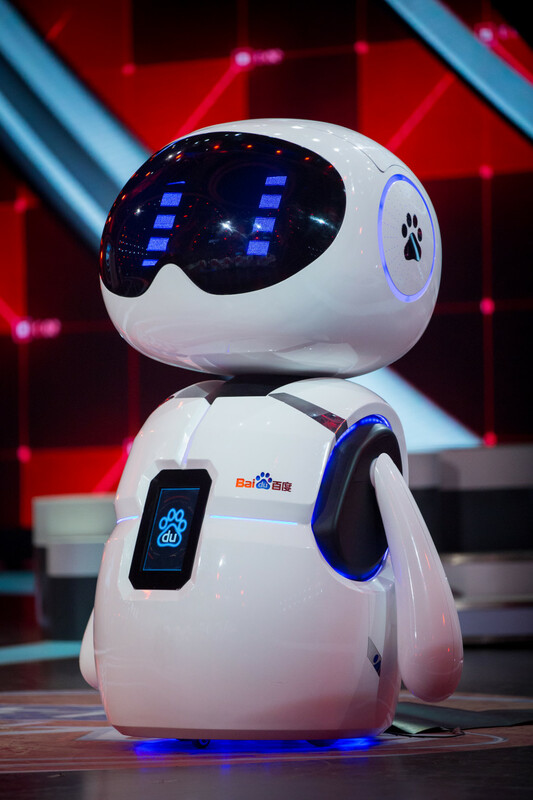 Coming in a cute package that has simulated facial expressions and can respond to questions, Xiaodu is actually just an avatar for Baidu’s proprietary AI, Baidu Brain. Interestingly, Baidu’s team chose for Xiaodu to compete in areas where computers are particularly weak: face and voice recognition. If it does well, then, perhaps we can say that their AI is robust enough for commercial use. Rather than going the route that Google’s DeepMind has gone with their AlphaGo, Baidu has decided to focus on things are simple that we don’t need to think, that we do intuitively. Baidu claims that their AI can recognize people even after massive changes, whether that’s from makeup, plastic surgery, or aging. Over the past few decades, China’s technology sector has been dominated by Baidu, Alibaba, and Tencent (BAT). But more and more, Baidu seems to be left behind as both Tencent and Alibaba dominate social, e-commerce, and mobile payments. Indeed, Baidu has had a rough time recently: partnering with Uber only to have them ultimately leave the market, questions about their spending, as well as other recent negative publicity. Xiaodu, however, may just be what they need to prove that they’re still in the game. By focusing on Baidu’s traditional strength in computing and analysis, they’ve created an artificial intelligence that can ostensibly perform simple activities that we take for granted, activities that have a broad range of applications. And, while Xiaodu may be a cute ambassador for our future AI overlords, Baidu isn’t focusing on any consumer applications for the time being. According to the company, they plan on selling their facial recognition software to governments and businesses mostly for security uses. For example, both facial and voice recognition are particularly suited for the increased interest in biometric security. Fingerprints may be the most ubiquitous form of identity verification, but they have been proven over and over to be a very weak way of ensuring secure access. Voice and facial recognition, on the hand, offer a more secure way for banks, businesses, and the government to know that you are you.